Does your app’s landing page rankings plummeting with each passing day? Wish to do something about it, because it’s significantly affecting the traffic and sales of your site? Try Latent Semantic Indexing (LSI)! Well, Latent Semantic Indexing is one of the key strategies to getting your landing page high on Search Engine Ranking Pages. In fact, it is one of the evergreen SEO concepts milked by best of the websites to give their web pages a considerable leg up over their competitors. In fact, the SEO world is on a first-name basis with it. And, yes, there are several books written about it as well. What’s more, with more and more app landing pages being built on an everyday basis and with Google’s insistence on high-quality content, it’s become more important than ever to accord LSI the push and the pubilcity it deserves. Nope. You don’t really have to rope in Neil Patel or Rand Fishkin to explain the concept in detail for you. Because the concept is that simple and there are tools (more on in this in a minute) as well to help you out. So Here We Go: What is ‘Latent Semantic Indexing’ Afterall? Well, Latent Semantic Index or LSI keywords are related words or synonyms of primary keywords of your app’s landing page or web pages. Once you enter a primary keyword in Google searches, several related words will pop up. But then, you don’t need all of them to shoot your landing page on the top of the SERP list. Only those that are semantically and logically related to your principle keyword should be made part of your website. For instance, if you are setting up a landing page for a “sports app” then in such a case, your landing page should ideally contain words like “sports app for Android,” “sports app for Window Phones,”and so on. In the above image you can see how Google’s Auto Complete tool is throwing up relevant LSI keywords on entering the keyword “sports app”. All these additional keywords are promising enough and should be integrated in your sports app landing page or in the blog page. These LSI words would come to site’s rescue when Google search separates your landing page from other run-of-the-mill searches such as,”sports academy” or “sports shoes,” and other such keywords. It ensures that visitors visit your landing page when they enter the keyword ‘sports app’ in the search section and not any other page. Even the footer of Google Searches related to sports app throws up a couple of LSI keywords. Yes, if you desire spam free content, make sure it’s LSI optimized. As in, there are cent percent chances of your content be dubbed as spam by Google Search Engine spiders if it’s designed otherwise. In other words, search engines accord enormous importance to keyword phrases that are semantically linked to your primary keywords. Additionally, it differentiates quality content from other spun contents. Beyond the key searches, the LSI strategy helps you rank better for related searches as well. It has been observed that Google bots crawl your site and build an idea on the article’s quality based on semantically related searches, in addition to targeted keywords. 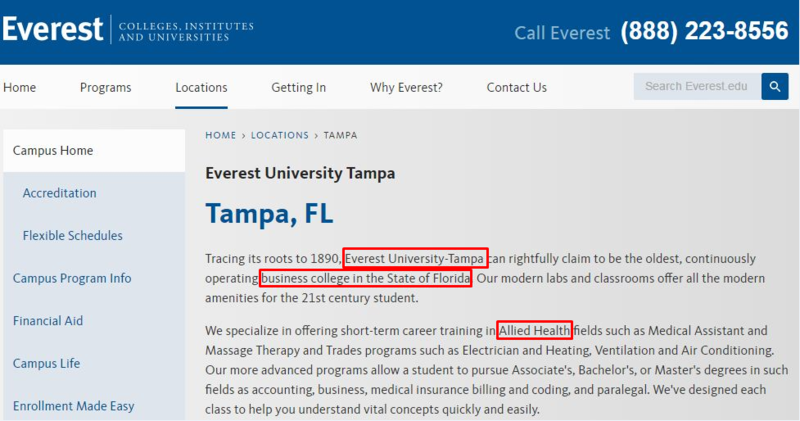 Everest Movie and Everest University. Here Google spiders consider your LSI keywords like, “biological disaster survival drama, 72nd Venice International Film Festival and “1996 Mount Everest Disaster” to differentiate the first article from the second (that has words like “Everest University – Tampa, “business college in the State of Florida,” Allied Health, etc.). This way a movie fan doesn’t land on the University website page, thereby avoiding bounce rate occurrences. LSI Keywords work like long tail keywords and hence useful in ranking your landing pages higher. For instance, Amazon’s banks on the long tail and LSI versions of the primary keyword to drive sales. If the content is lousy, visitors won’t mind taking the first bus outside your site. So, first things first: Make the site content solid, and pepper it with pertinent LSI keywords. That’s not to say, you need to make it keyword stuffed. Incorporate LSI keywords in reasonable numbers, but make sure it has the perfect cadence that draws the readers to it. Thanks to Panda Update by Google, Search engines these days look for quality content. The Google Auto Complete tool is no brainer tool. Even Google’s Adword tool is ubiquitous. That said there are other tools as well that come in handy while ferreting out the relevant LSI keywords for your next blog post or website. The LSI Graph is a free SEO tool that generates Latent Semantic Indexing (LSI) keywords for you. Anyone can try using this tool, even a total stranger new to SEO. Just insert the main keyword and, within a fraction of a second, you’ll have some of the choicest keywords waiting for your attention. Yet another incredible tool from the Google stables. The tool highlights the popularity of your keyword, demographically, and in different periods of time, and that too in a good number of categories. For instance, the keyword app marketing was peeking in the first half of 2016, but then it started dipping. 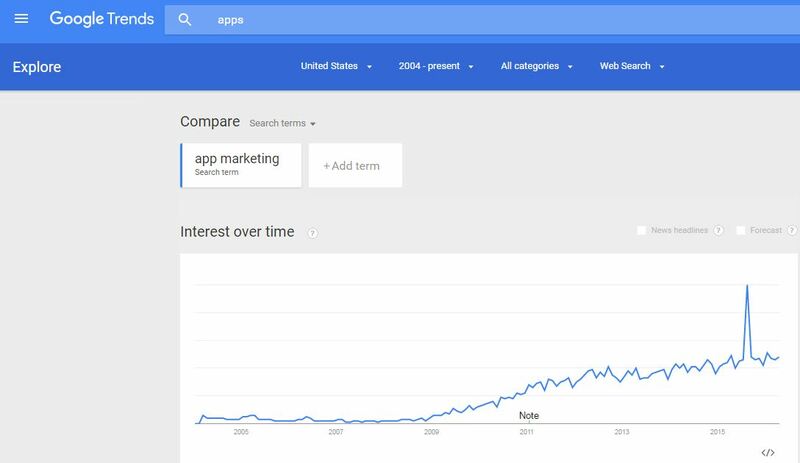 The second image throws up pertinent keywords related to app marketing. This tool s***s offers a hell lot of keywords so much so that you need to download it in .txt format. Well, this is a standalone application. So you need to install it first in your computer before you start with your keyword searches. The best bit about this tool is that it assembles an array of keywords based on Google’s research on top site contents. It’s analyzed Google search gives a clear idea about the best keywords for your landing page and blog. Again, this is an amazing tool to find the best matches and also to get an idea about traffic driven keywords, specifically employed by your competitors. The tool offers keyword suggestions, website page title, website meta description, meta keyword and website competition matrix. Online marketers are fond of Soovle. You key in a query and it will inform you about the top 10 searches in some of the most popular search engines like Google, Bing, Yahoo, YouTube and more. Besides, Soovle gives keyword solutions in an ultra-speedy way and starts displaying results as soon as you start tying alphabets. Semrush helps you churn out a good number of keywords, specifically from your competitor site. For this, first key in your competitor’s website URL in the SEMrush search box and hit enter. Now, select organic search>positions from the left-side menu to go to the ranking keywords page. Now pick those authority keywords and use them in your blog posts. All done. Your landing page is ready to take on the Google bots head-on now. They are not exactly different from each other like the proverbial chalk and cheese. But they cannot be treated at the same level as well, given that LSI keywords expand the scope of your search, while the long tail keywords, does exactly the opposite, narrows the scope. Search engines leverage LSI keywords to decipher, and analyze the level of understanding and knowledge you’ve got about a particular topic and thereby rank your pages accordingly. The bottomline is that LSI keywords drive organic traffic to your landing pages from keyword phrases that you haven’t ever targeted or even heard before. Keyword density is the percentage of keywords occurring in an article or a web page. It’s crucial because without proper keywords, Google bots might fail to figure out your article’s focus. So ensure to add 2-4 keywords for every 100 words. If you tend to go beyond the required 2-4 keyword limit, it might lead to over-optimization, and chances of Google penalizing your site would be higher. With millions of apps and app landing pages being generated every day, it becomes inordinately important to get your app landing pages SEO optimized. Precisely, LSI optimized. And, in case your app’s landing pages is comparatively content-free with hardly any scope for keyword optimization, then get your blog pages optimized with relevant LSI keywords. Either way it works. 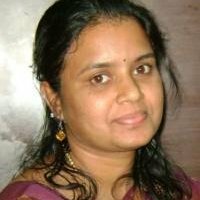 Jini Maxin works for OpenXcell Mobile App Development Company that offers mobile app development services across the globe. She’s a voracious reader who believes in pouring all her learning into producing well-researched, insightful, data-driven posts.